Gallery seating is only accessible by 70 stairs. 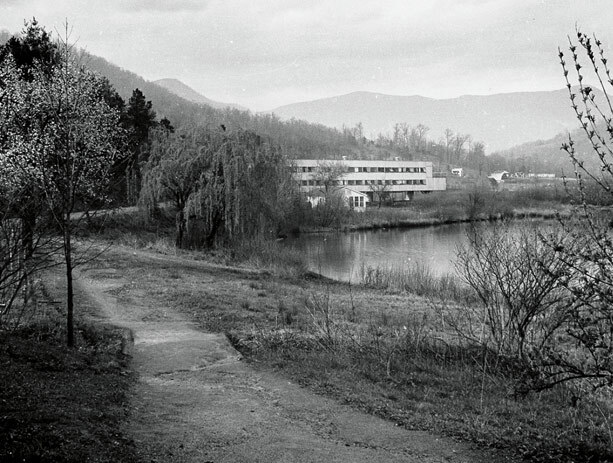 At North Carolina’s Black Mountain College, erstwhile commune and artistic playground of John Cage, Merce Cunningham, Robert Rauschenberg and many others, a spirit of radical democracy prevailed. Students and teachers shared roles and work, boundaries between disciplines dissolved, and art bled into life, nurturing an atmosphere of unfettered creative collaboration. In Black Mountain Songs, performed by the Brooklyn Youth Chorus, commissioned and produced by BAM and the Brooklyn Youth Chorus, and curated by Bryce Dessner and Richard Reed Parry, that collective thread is renewed. Eight composers—Dessner, Parry, Pulitzer Prize winner Caroline Shaw, Nico Muhly, Aleksandra Vrebalov, John King, Tim Hecker, and Jherek Bischoff—collaborate with filmmaker Matt Wolf (Wild Combination: A Portrait of Arthur Russell) to create an expansive choral and visual work that celebrates and rekindles Black Mountain’s utopian spirit. Save 20% on 4—6 shows, 30% on 7 or more. Plus enjoy flexible scheduling with free exchanges. The Grammy-winning Brooklyn Youth Chorus is one of the country’s leading youth ensembles. Bryce Dessner is a Brooklyn-based composer, guitarist, and curator. Serving as a playhouse, then a cinema, the history-filled Majestic is now the BAM Harvey. This engagement is dedicated to the late Mary Anne Yancey, former Board Chair of Brooklyn Youth Chorus and long-standing BAM supporter. The 2014 Richard B. Fisher Next Wave Award honors Brooklyn Youth Chorus and the production of Black Mountain Songs.